Groovy, man. The GO! Flower Power Die Set by Sarah Vedeler comes with all you need to make the flowers in her Peace Love & Joy Collection. 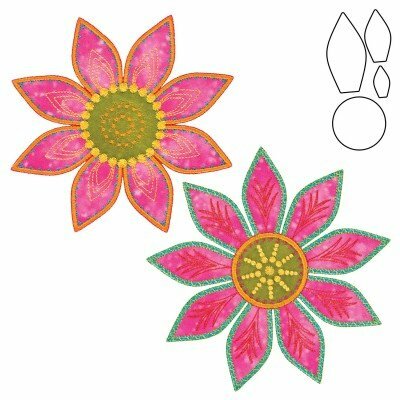 This die cleanly cuts through multiple layers of fabric to create small, medium and large petals plus a 4" diameter circle. Use in conjunction with Peace, Love & Joy Collection CD by Sarah Vedeler along with GO! Peace by Sarah Vedeler, GO! Love by Sarah Vedeler and GO! Joy by Sarah Vedeler to create the Peace Love & Joy quilt and sleeping bag.